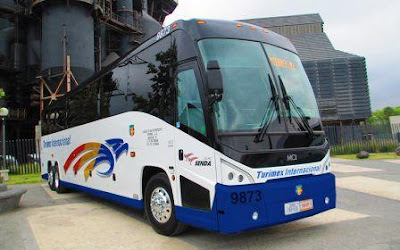 Turimex International Bus is part of Grupo Senda company, who carries over one million passengers annually, becoming the most experienced company in the northern part of Mexico and south of USA. Looking to improve their service, They always used to acquire brand new buses with more technology and safety for our passengers. 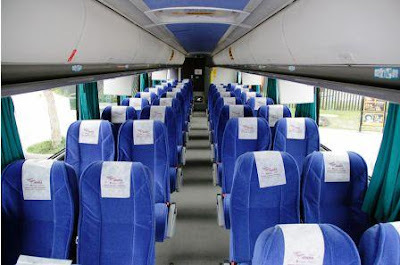 Enjoy your next trip like you have never done before in their modern comfortable buses. They will make sure your travel experience will be unforgettable. For the comfort of all passengers, They let you know the rules that must be followed when traveling with baggage. You can carry up to two suitcases or packages, no heavier than 50lb (22.6Kg) or bigger than 62 linear inches (157cm), that means the sum of the height, width and lenght of each suitcase. If your lugagge exceeds the permited weight or size, you will be charged USD$1.00 for each aditional pound and/or inch. The extra bagagge will be charged according to its size and weight. You are not allowed to travel with firearms and sharp objects, chemicals or flammable liquids. You are not allowed to travel with pets or animals of any kind in the passenger area of the bus, except for guide dogs for blind people. Arrive 30 minutes before the departure date and time of your trip to avoid delays. Document your luggage on the platforms to proceed to your departure. Watch for the exit signs and boarding announcements to know where to board the bus. Avoid ingesting alcoholic beverages before or during the trip, as it is forbidden. Underage passengers must be accompanied by an adult, otherwise they will not board the bus. The timeouts between stops and arrival time are approximate.